The days are getting longer and the skies brighter so it’s time to start thinking of holidays and weekends away. 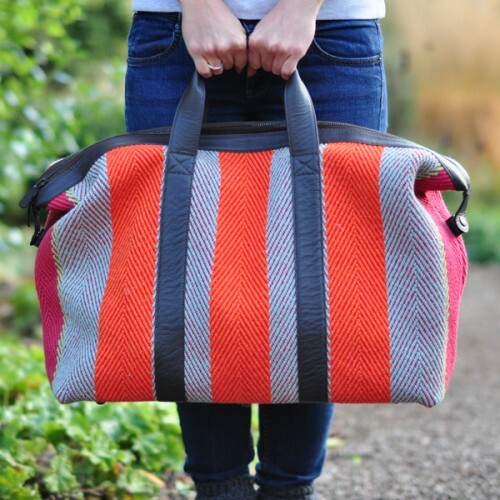 As well as regularly changing their summer wardrobe some people also like to update their luggage, but we anticipate that once you have one of our luxury travel bags it will soon become a loved and trusted favourite. 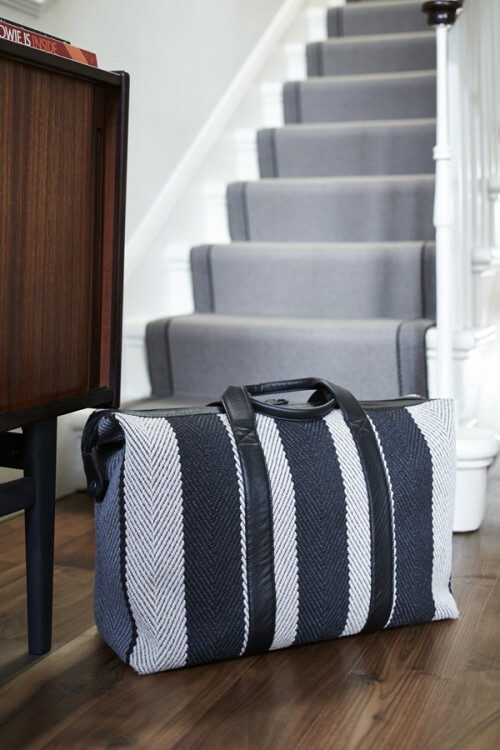 The perfect definition of a ‘carpet bag’, the travel bags are made from a selection of our signature stripe, 100% wool, flatweave floorcoverings. 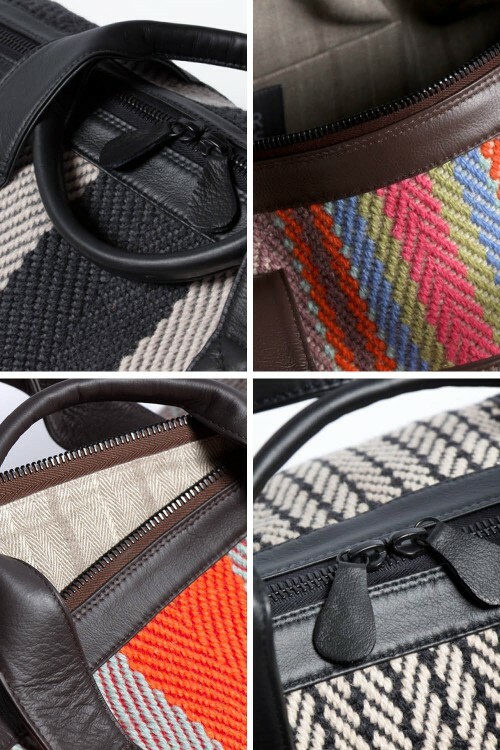 Lined in Barnes – one of our herringbone stripe fabrics – and finished with soft leather straps, they are designed and handmade in the UK. 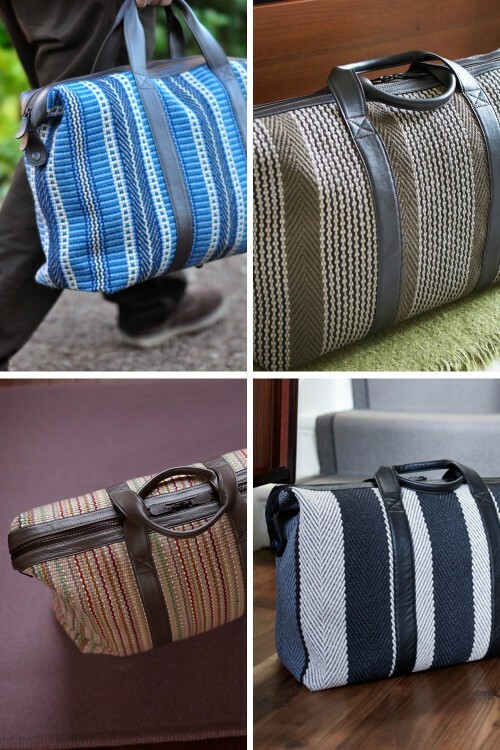 Available in a variety of designs and measuring approximately 50cm x 20cm x 34cm high, the bags are the perfect size for a weekend away and conform to the cabin bag size regulations for both Ryanair and Easy Jet. With one slung casually over your shoulder, you will stand out from the crowds pulling along their obligatory standard black wheelie cases. 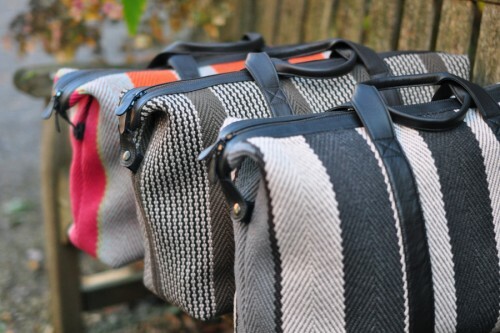 These bags would turn heads in first class or on arrival at Babington House! 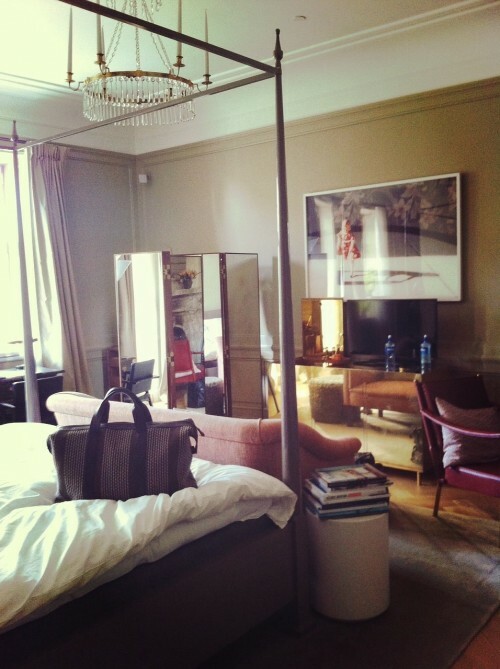 To date our travel bags have been spotted in two very smart destinations, both designed by style guru Ilse Crawford; the Lyon Ebony bag spent a long weekend at Ett Hem boutique hotel in Stockholm, a converted 100-year-old house filled with richly coloured wood, leather and velvet. Just a few weeks later the Moritz Multi journeyed to The Crown in Amersham. This 5 centuries old coaching inn – used as a film location for ‘ Four Weddings and a Funeral’ – has recently undergone a modern-rustic makeover seeing its original olde-world features seamlessly complemented by a fresh contemporary–comfy design. 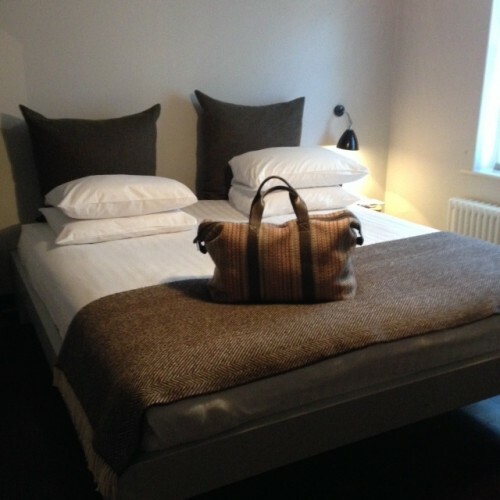 A Fitzroy Black Travel Bag, the perfect travelling companion. 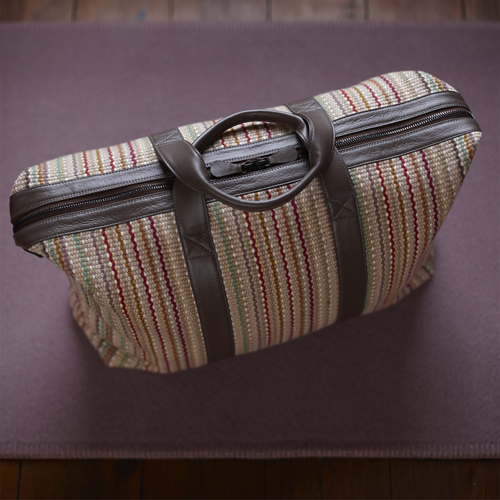 As part of our Spring Promotion, you can receive 20% of a travel bag by using code SPRING20 at checkout. Don’t resist the temptation and check-in to your latest destination in style! ← How Do I Care For My Stair Runner?